Express Employment Professionals of Ocala, FL is a leading staffing provider helping job seekers find work with a wide variety of local businesses. Because we're locally owned, we live in and work in this community and have a vested interest in its success. In addition to our staffing services, our team is actively involved with a wide variety of causes and organizations that help strengthen our beautiful city. Getting Ocala Back to Work! 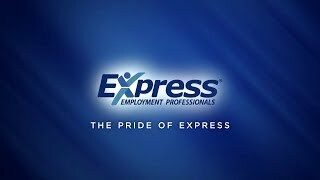 The Express Employment Professionals franchise in Ocala, FL was opened by Randall and Pat Camp in March of 1994. The Express Ocala office has grown successively since then, and continues to rank consistently as one of the top offices within the entire Express organization. We help job seekers in their local job search to find work and help businesses in our community find qualified employees to meet their needs. Express provides unique assistance to local businesses as the largest privately-held staffing company in the United States, in that we are locally owned but globally powered! Founded in 1983, Express today employs 400,000 people across over 700 franchise locations worldwide and we have made it our goal to put 1 Million people to work annually. We strive for excellence by the heart of our company's vision: help as many people as possible find great jobs by helping as many clients as possible find great people. Serving predominantly the Ocala, FL area, we are always looking for exceptional candidates in our community who are looking for a new or better career. Express Ocala has a strong reputation as a reliable resource for numerous businesses throughout our community. We get to know our clients individually and work to develop strong relationships to have the best understanding of their industries, challenges and skills sets required of their candidates to provide them a "just in time" workforce. Our staffing solutions include temporary, evaluation-hire, flexible staffing, short or long-term contract staffing and professional recruitment/placement over a variety of industries. Contact us today at (352) 414-5895 to learn more about how we can help propel your business to the next level! Express Employment Professionals works with job seekers to help them find the right job for their skills and experience. We have a variety of jobs available, and there are full-time, part-time, and temporary positions available. And, as one of the leading staffing agencies in North America, Express provides employment services and workforce solutions to employers throughout our community. Contact us today to get started on finding the right fit for you. To help as many people as possible find good jobs by helping as many clients as possible find good people. Express has put more than 5 million people to work worldwide. Have you worked with or for us and would like to share your experience?